Utah’s deep snow and hundreds of miles of publicly accessible groomed trails make snowmobiling an ideal way for individuals and families to experience the state’s backcountry. Cal Taylor, president of Utah Snowmobile Association says, “My family loves snow. We make sure everyone has warm clothes,” then we head up the mountain to isolate ourselves from the hectic world. 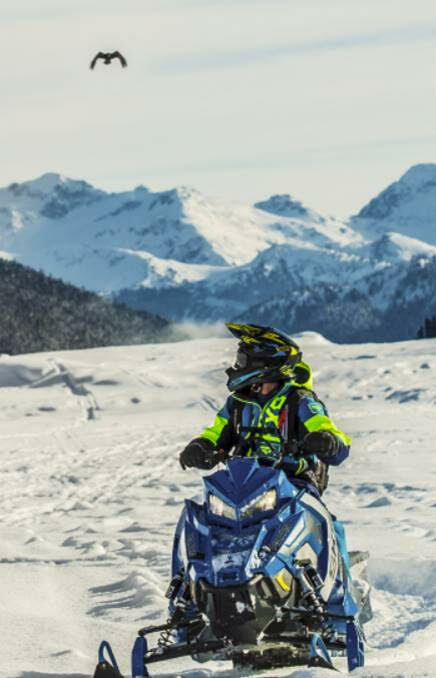 For those who want to try snowmobiling, it’s easy to rent all the gear and equipment and receive the necessary safety training. The hard part is choosing which trail to explore. 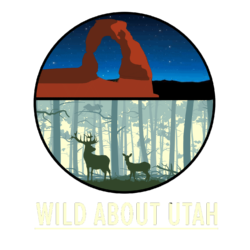 There are nine trail complexes in the state which stretch from Fish Lake in Central Utah, to Logan Canyon in the northern tip of the state. These complexes consist of extensive trail systems. 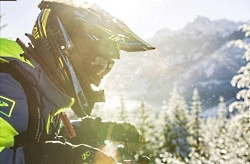 Each trail provides a unique backcountry experience. The trails are on public lands and are free and accessible to anyone who wishes to explore them. The northern most complex stretches from Ogden to Bear Lake and includes the Hardware Ranch, Monte Cristo and Bear Lake trails. These systems consist of more than 180 miles of well-groomed trails that wind through the Wasatch-Cache National Forest. The Hardware Ranch trailhead is located close to the Ranch which is the winter range for hundreds of elk. The Hardware Ranch provides sleigh rides to anyone who would like a close up look at the elk. Further up the mountain, snowmobilers may find forest grouse who make their winter homes in and around the high mountain aspens. It is not uncommon for sledders to be startled by grouse flying out of its hiding spots. Along the Mirror Lake Highway trail, part of Complex 3, mountain goats can be seen balancing on the snow covered cliffs of Bald Mountain. Watching their agility as they move along the high ridges is an incredible site. 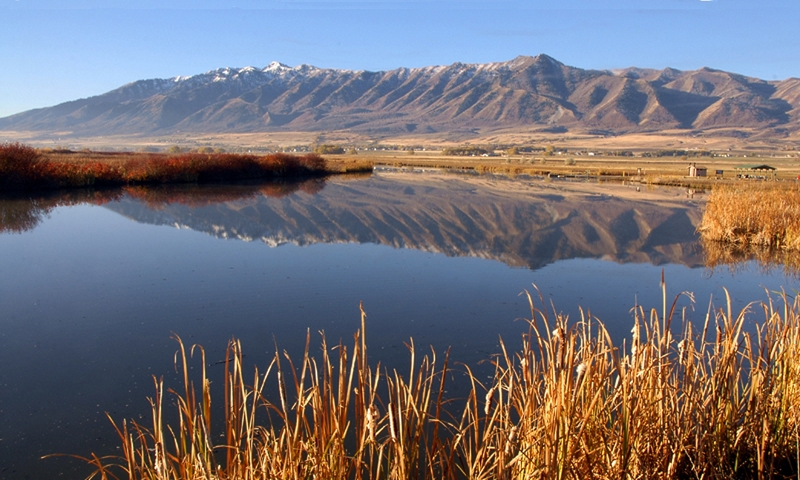 In central Utah the Fish Lake trail reaches and elevation of 11.500 feet, with a breathtaking panoramic view. Some sledders bring their fishing poles so they can stop and enjoy ice fishing on the naturally formed Fish Lake, which is only accessible by snowmobile in the winter. Maps for all nine trail complexes can be found via links on the Utah Snowmobile Association’s website. If you enter the complex name in Google you’ll find even more helpful details. Utah Division of State Parks grooms each trail every few days. Due to a well-targeted gas tax, those who use the trails, fund the trails. 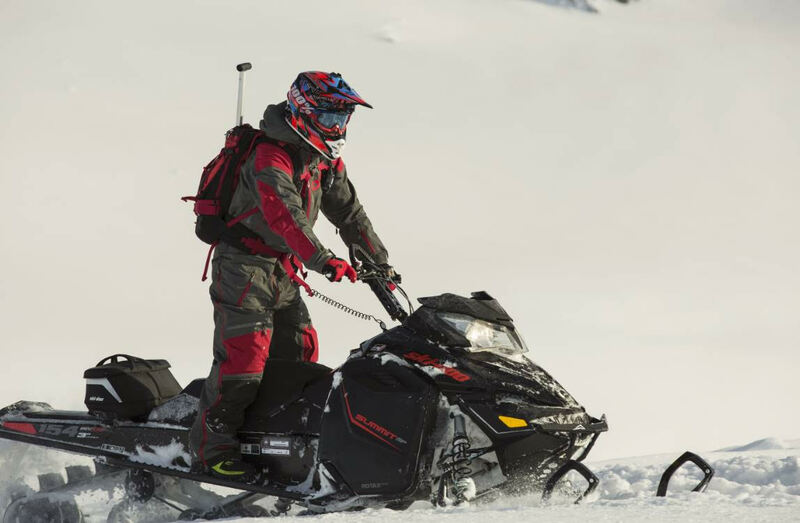 Jordan Smith, the director of the Institute of Outdoor Recreation and Tourism in the Quinney College of Natural Resources completed a research project about the economic impact of snowmobiling in Utah. The study found snowmobiling accounts for 1,378 Utah jobs and $59.9 million in labor income. In 2016 alone, over $13 million in state and local tax revenues were generated by snowmobiling activity. Additionally, Smith discovered there is still plenty of room for more residents to enjoy the snowy trails. He explains, “There are relatively few heavily visited snowmobile destinations throughout the state.” When you see all the trailers in a snowmobile parking lots you may assume the trails are crowded, but once they disperse the snowmobilers rarely see each other.